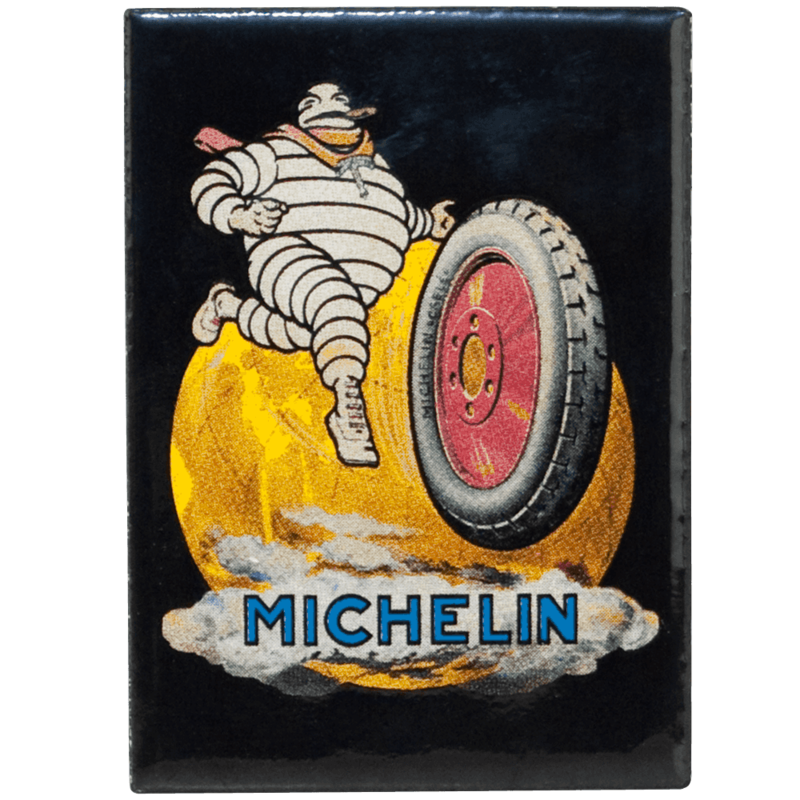 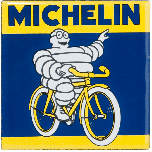 This cool Souvenir Fridge Magnet features the original “Globetrotting Mr. Bib” Michelin advertising artwork. 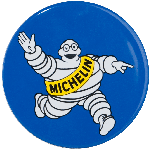 Mr. Bib rolling a tire is the famous vintage advertising design reproduced on a sturdy magnet. 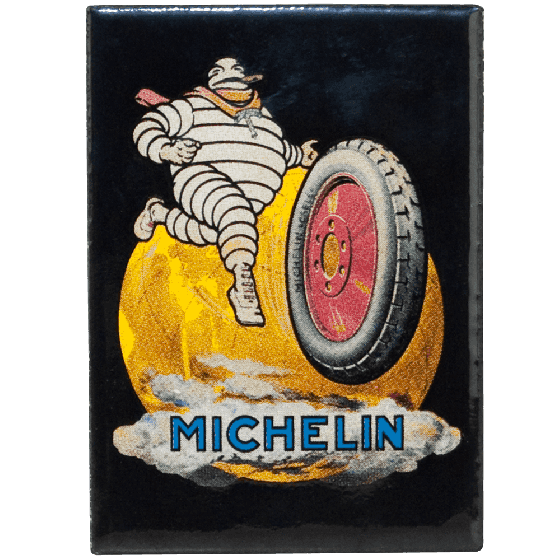 Collect all 4 Michelin fridge magnets souvenirs! 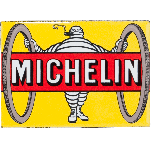 Size is 2"" x 2.75"".